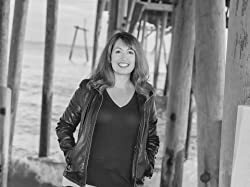 Christy writes both mystery and romantic suspense novels that are clean with underlying messages of faith. Her books have won the Daphne du Maurier Award for Excellence in Suspense and Mystery, have been twice nominated for the Romantic Times Reviewers Choice Award, and have finaled for both a Carol Award and Foreword Magazine’s Book of the Year. I fell in love with Christy’s character Gabby almost 10 years ago when I read Suspicious Minds. Ever since I’ve been following Gabby’s antics and loving every minute of it. Then came Holly Anna which was also a really good character, but I didn’t fall in love with her the way I did with Gabby. This year Christy introduces her fans to a new character, Joey Darling. Fallen Hollywood star in search of her missing father. In these first two books Barritt has given us great action, mystery, and an exciting love triangle. Joey is a blast to watch as she stumbles into being a real life detective, much like the one she played on TV. She also has two men that seem to be subtly or not so subtly trying to win her affection. Zane is the carefree, live in the moment type of a guy and Jackson is the serious watch where you step type of a guy. Both have their strengths and weaknesses, but at the stage of the game Joey only wants one man, her dad. In these first two book the stories have been interesting and exciting, giving the reader little tidbits of information. Each book makes me want to hurry and read the next one. I appreciate that these books are coming out “fast.” Book one released January 1st, with book two releasing the end of January. Book 3 is slated to release March 28th and yes, I’ve already pre-ordered it! The other nice thing about these books is the cost! If you are a Kindle Unlimited member they’re free, if not, they are only $2.99 each. A great deal on a great series!